You're gonna love it! 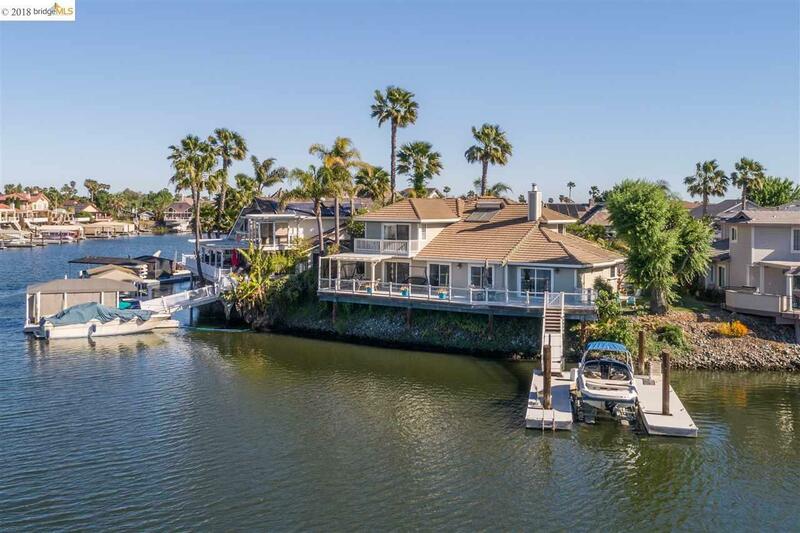 Breathtaking views dominate this wonderful waterfront home located in one of the most desirable neighborhoods in Discovery Bay! Step into the formal entry and be welcomed by the incredible view of blue, deep-water Beaver Bay. Spacious living room with vaulted ceilings and exposed beams leads to the large dining area, open to the efficiently designed kitchen. Granite counters, stainless steel appliances and abundant storage make this a true chef's kitchen. The first floor master bedroom with luxurious en suite bath features a water view and walk-in closet. Upstairs, a second master with private balcony offers amazing views of Mt. Diablo. Relax and entertain with spectacular sunsets on the 70' Brock vinyl deck. Or take a boat ride from your private U-dock with hydrohoist - only minutes to fast water!